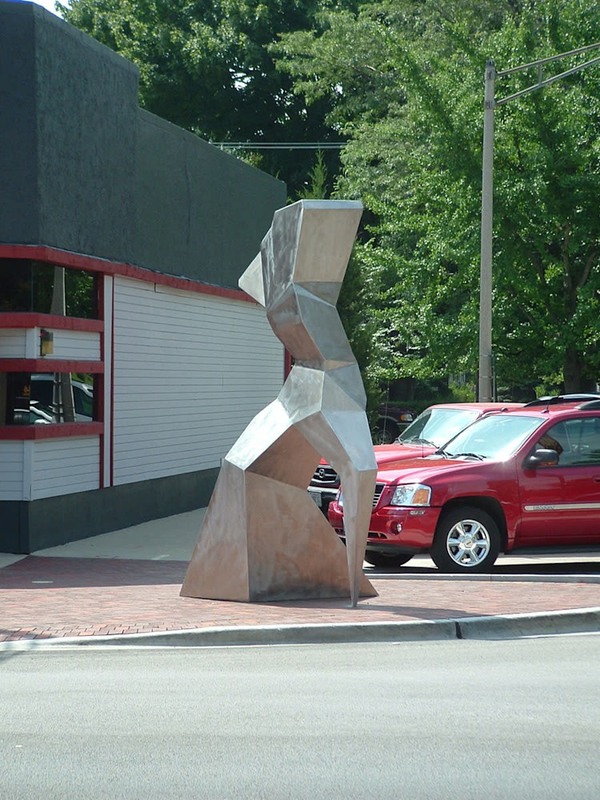 "Traveler" was my first large-scale public art piece. 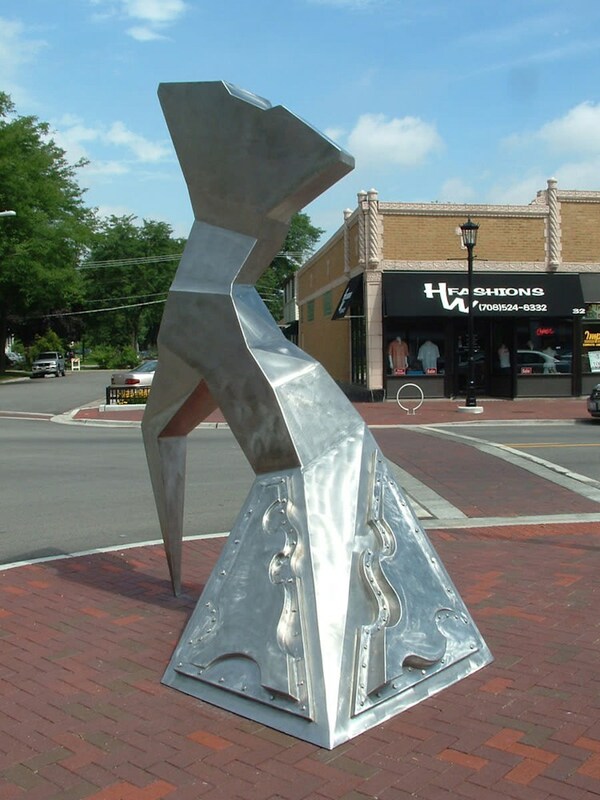 It is welded stainless steel. 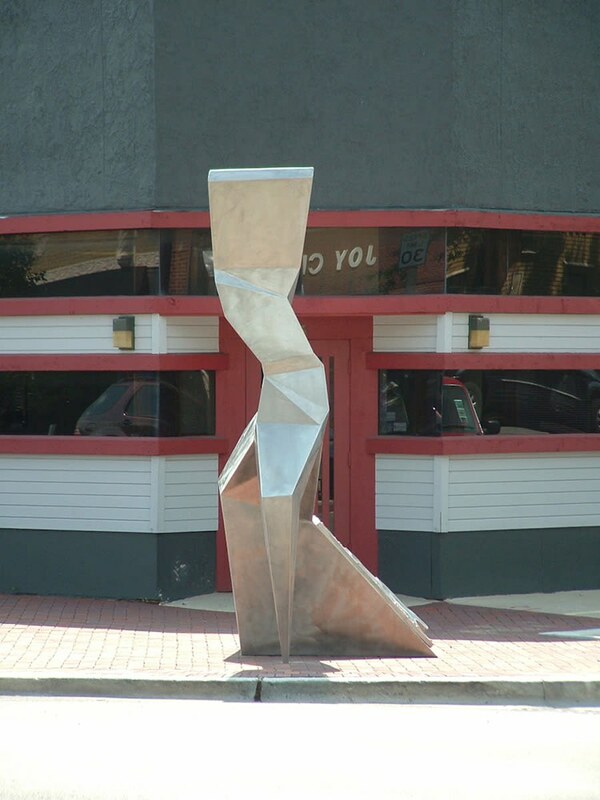 The muse was inspired by disco. 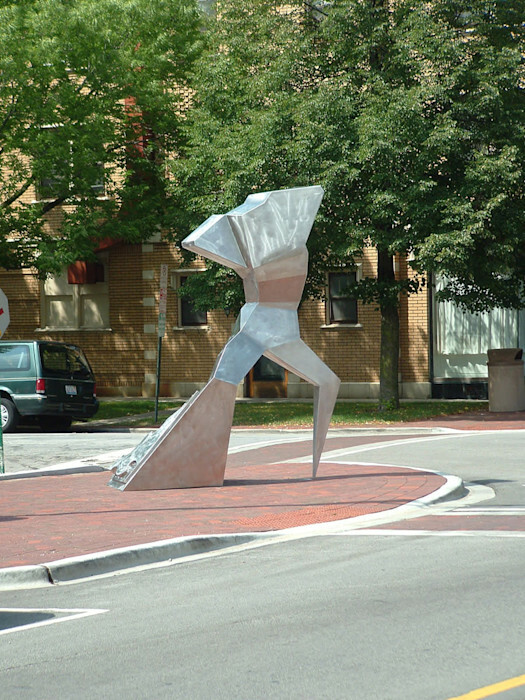 The Village of Oak Park, IL added "Traveler" to their public art collection in 2007.